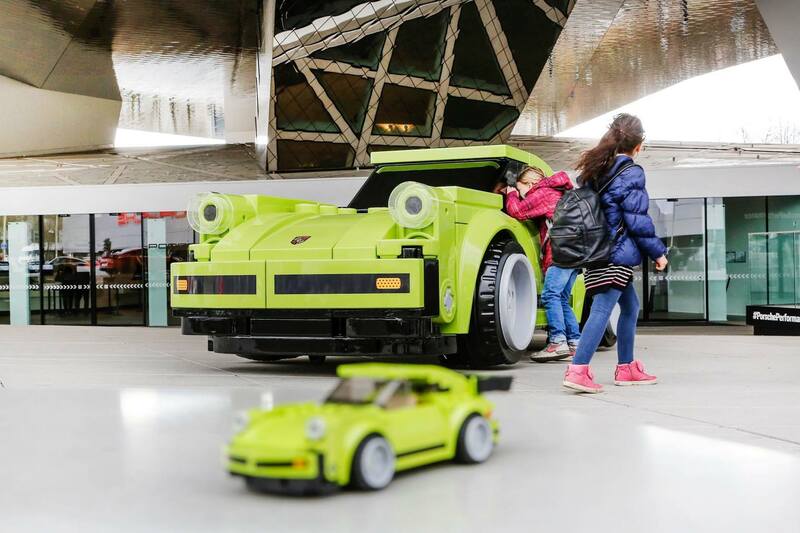 You may remember a great video Porsche posted on its YouTube channel last month of a pair of minifigure-size cars from the Lego Speed Champions Porsche 911 RSR and 911 Turbo 3.0 set racing around the Porsche Museum "Toy Story"-style. 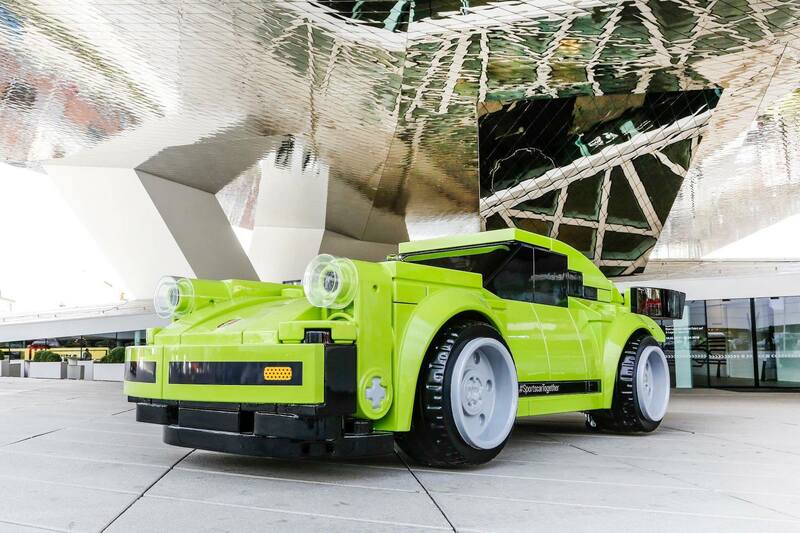 Well the museum in Stuttgart, Germany isn't finished with its Lego antics yet, as it's gone and built a full-size version of one of the cars in the Speed Champions set. 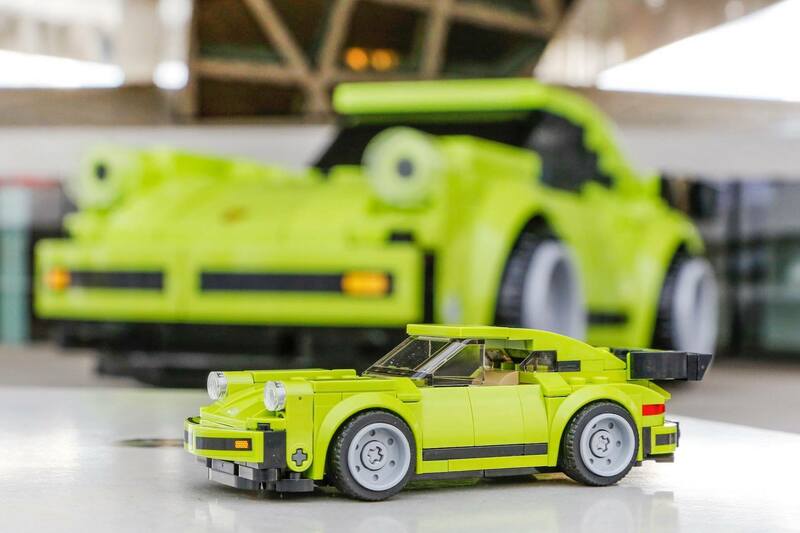 The Porsche Museum's Facebook page uploaded a series of a photos of a Porsche 911 Turbo 3.0 made entirely out of scaled-up versions of Lego bricks, and its roughly the same size as the actual car it represents. Again, these aren't just normal Lego pieces. It seems that whoever built this model wanted the end result to look more like the Speed Champions 911 Turbo than the real thing, so they enlarged the pieces used in the Lego set somehow—Motor1 thinks the car was built using molded fiberglass pieces. It may not be a genuine Lego build like what some car companies create, but the finished product accurately depicts the set from where it took all of its inspiration. It definitely isn't drivable, but considering the attention to detail Lego puts into its Porsche Technic sets, we wouldn't be surprised if this model had some working parts. Unfortunately Porsche doesn't have any plans to sell the (roughly) 1:1 scale model 911 Turbo, but then again there isn't an Ikea shelf in the world that this lego set would fit on. You'll just have to book a flight to Germany and visit Stuttgart to see the car, which will be on display at the front of the museum until April 19, and then at the Porsche Tennis Grand Prix from April 21-29. Bugatti and Lego are partnering to deliver one of the fastest set of bricks in your toy box.